My editorial last month brought some interesting responses, which underscore the issues and problems I raised. The statements, to come, illustrate issues with electricity I have run into – safety versus practicality. 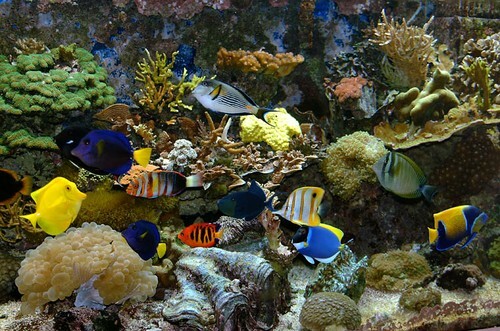 With the help of Murphy’s Law (what can go wrong will) the problem with GFIs is that a minor problem can cause a disruption of power to a vital pump, and just when the reef keeper is away, who then comes home to find his treasured animals dead. On the other hand, failure to use these protective devices can permit much more dire consequences. It is my hope that this editorial will continue to provoke more discussion on this very important subject, and by people who are much more knowledgeable than I on this subject. I suspect there is a way to have both safety and protection for one’s captive reef. Let me start off by saying that I really enjoy reading your articles each month in Advanced Aquarist. This month’s article on electricity and aquariums was very interesting, and I am very sorry to hear of the loss to the family. I am a firm believer in the use of GFIs. In fact when I upgraded my lighting and added a chiller I had to run separate lines for each. I am no certified electrician but I have dealt with electricity for many years. When I did the wiring I calculated the max load and the normal load of watts and amperes of each line and wired so that the normal breaker would trip out between the normal and max load. I also installed GFIs at the plugs that are only rated for the normal load. This way anything out of the ordinary will cause a trip at the GFI first and then hit the breaker next. I love my tanks but I love my family more, if I lose a fish or a coral it can be replaced, but my children will never be replaced. One thing that I noticed in the article was the fact that you never mentioned anything about voltage. I feel that this is a factor that should be mentioned and deserves notice. The reason being is that in the US we basically have 3 types: 110 (120) volts or common house hold voltage. 240 volts, also common in every house hold, and last 480 volts which is usually dedicated to the industrial side, but may be in some homes that have certain equipment. The reason that I wanted to bring up the voltage aspect is because unlike 110v that will normally trip a breaker with a short due to moisture, 240 – 480 volts will not and will continue to energize even if submerged under water. Ex. Most well pumps run off 240v and are totally under water and are not water proof. Some of the larger pumps and chillers we use also require 240v and if wired improperly could not only pose a fire risk but also a health risk by electrocution. These higher voltages usually take a major short to trip the breaker, a splash of water in this socket could cause an ark that may result in a fire, or worse yet, energize the plug so that when you grab the plug you get electrocuted, and never trip the breaker. Granted most hobbyists will never deal with such high voltages but there are a few that will, and I feel that they must understand what they are dealing with to be safe. People need to understand that if the breaker keeps tripping, most likely they have too great of load on that circuit. We hear it all the time at Christmas; don’t plug too many lights into one socket, and yet as aquarists, we seem to want to see just how many pumps and lights we “can” plug into that one socket. This was a point well worth pointing out. We seem to forget about the mundane things that are so critical for not only our hobby but for our well being too. I can’t totally disagree with you on GFCIs, but I do not use them after a nearly complete loss of a 120G reef over a long weekend vacation. Recently, after a few years, I concluded that a now very leaky (AC-wise) submersible power head tripped the GFCI that Labor Day weekend (for the first time). Too high a price for too trivial an issue for me. I certainly would not want to lose these animals, many of which I have had for 20 or more years, but on the other hand I wouldn’t want to have a fire or be electrocuted either.